Benny Neiman is just an ordinary kid trying desperately to live an ordinary life...except that his life is anything BUT ordinary! Instead of being a rebbi or a teacher like his friends' fathers, Benny's father is an internationally famous chef with a successful catering business. And Benny doesn't know exactly what his mother does...because it's such a closely guarded secret. And then there's that mysterious vault in his house he's never even seen the inside of. If that's not enough, one day Benny and his sister Tzippy come home to find that life as they've known it has been totally turned upside down and inside out. Things are going from bad to worse! What next? A sudden plane trip, espionage, and unnerving strangers throw Benny and Tzippy straight into the heart of the action - exactly where Benny does not want to be. Will Benny' dream of a "normal" family ever happen? 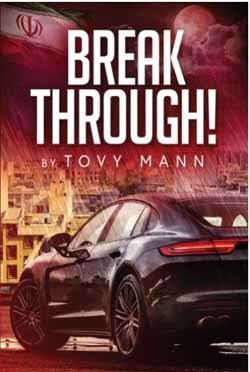 In Breakthrough!, author Tovy Mann takes her readers on a wild journey that spans St. Louis, Bnei Brak, and Tehran, with the most unexpected plot twists along the way. Can siblings Benny and Tzippy manage their turbulent emotions amid the suspense? Will Yehudis, their mother, be all right? And will Zagreb and Yuri's dangerous mission succeed...before time runs out? Find out together with the Neiman family in Breakthrough!